Are you ready to rally the troops and create a championship-winning team? 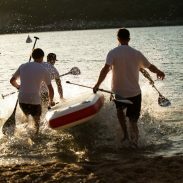 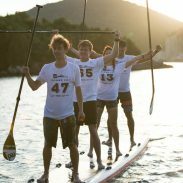 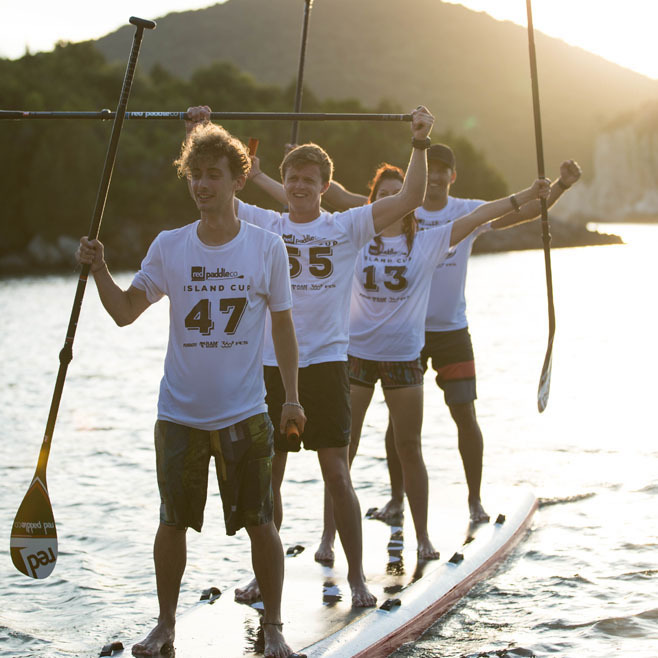 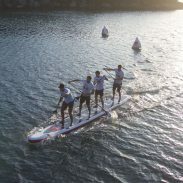 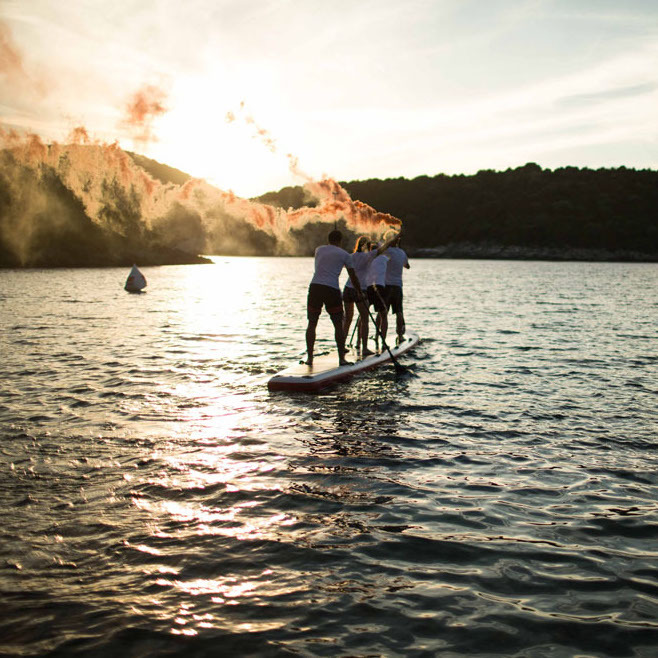 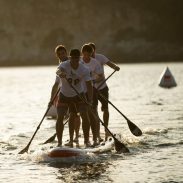 Do you want to mix the intensity of SUP racing with the camaraderie of team spirit? 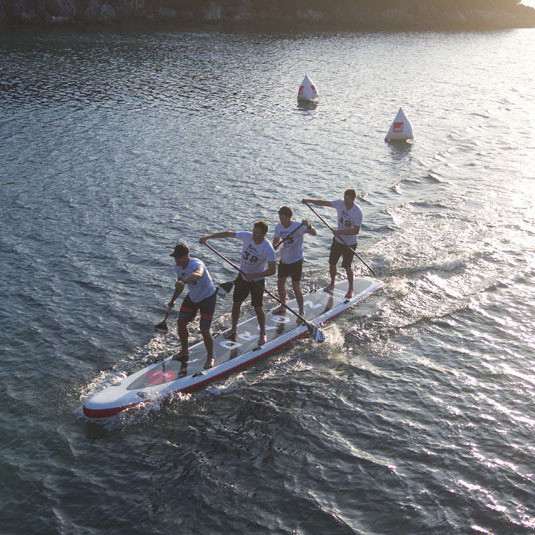 The four-person Dragon can reach an incredible rate of knots. 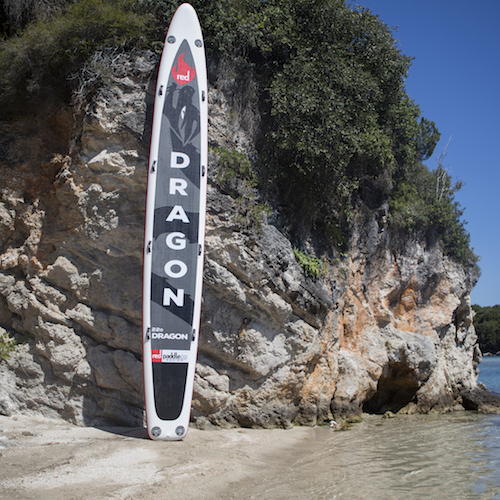 The 22’0″ Dragon retains the same features as most of the Race family, including profiled nose, slim body, and high sides so that it rises out of the water and slices through the waves. 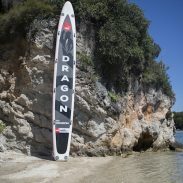 It has eight lateral handles for ease of transport, has four valves for fast inflation and is covered in an extra large decked with a large dragon design, warning other competitors to watch out if they don’t want to get smoked! 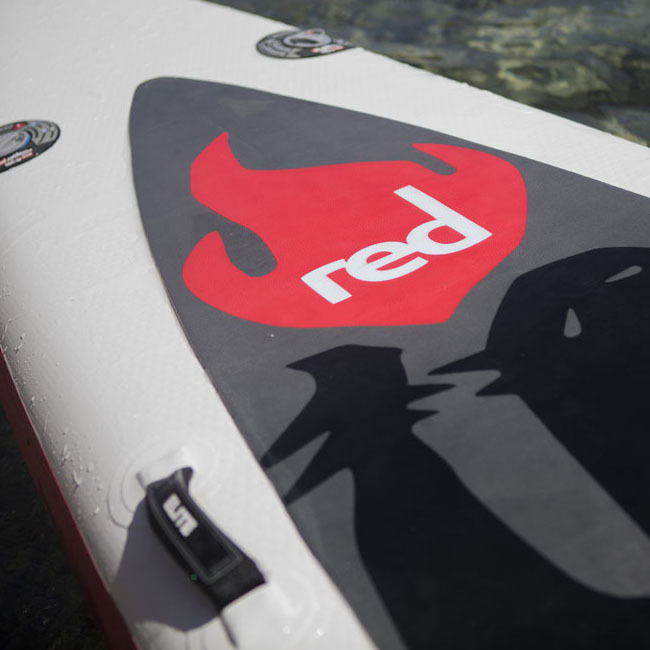 The board is supplied with our glass fibre race fin, designed to provide minimal drag and prevent any debris from getting caught whilst paddling. 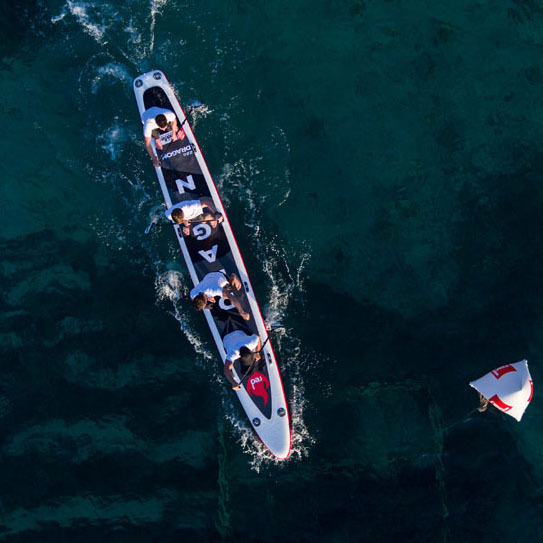 Don’t be duped by its size though: this is one fast machine and with the power of eight arms driving paddles through the water, it is one of the fastest SUPs on the planet! 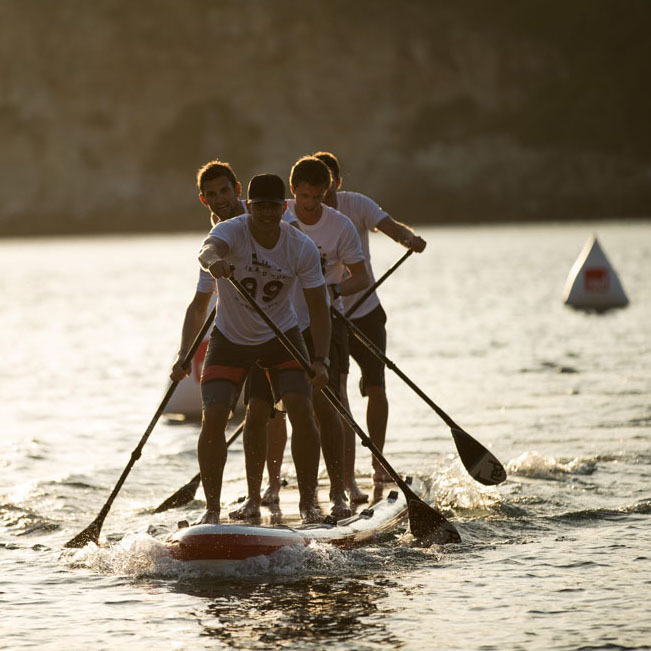 We will again be inviting paddle boarders from all over the world to compete in the amazing Dragon World Series, with teams of four battling it out across the globe.